Canrack Metal Center Systems’ standard product line includes adjustable cantilever rack, structural cantilever rack, coil racks, stacking cradles, pigeon hole rack, stanchion rack, and vertical plate storage. Systems can be designed for any material handling equipment including sideloaders, forktrucks, stacker cranes, or manual retrieval. Our cantilever rack systems, used in a Steel Service Center for bar or sheet, permit the quickest possible placement, storage and removal of loads of varying lengths. 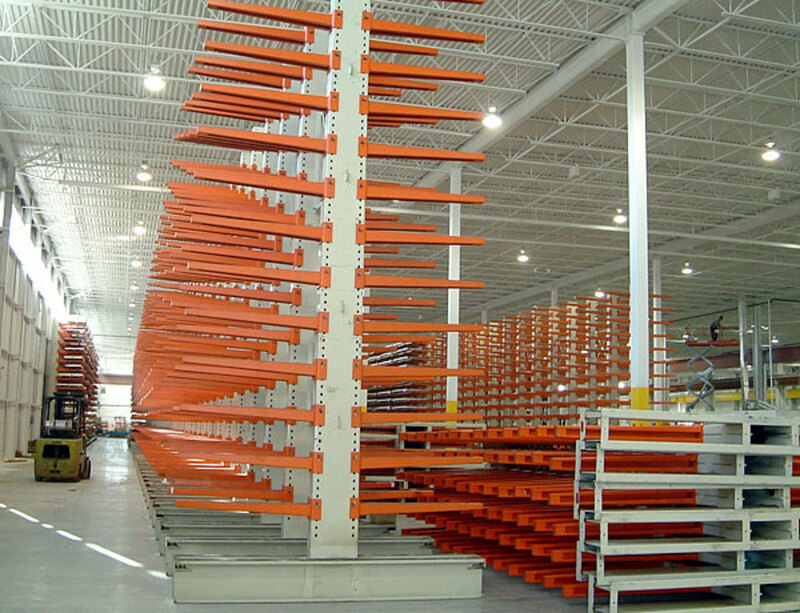 A cantilever rack from Canrack Metal Center Systems will help achieve full space utilization and 100% selectivity. 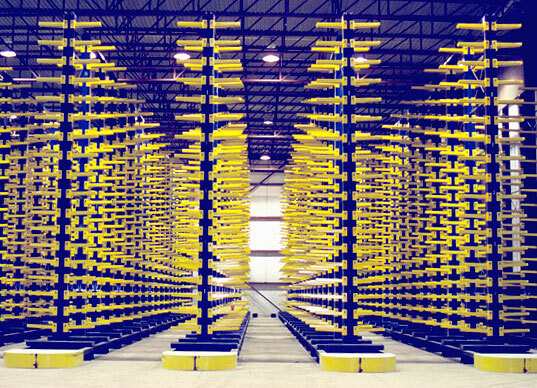 Loads can be stored and retrieved without regard to their length, and with a minimum of vertical space consumed for each load stored.